The BioTec 50mm, 70mm and 100mm diameter discharge pipes and bends are for use with OASE filters for gravity return to the pond. 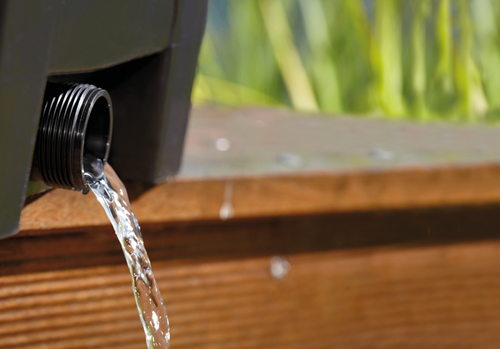 The OASE BioTec discharge pipes and elbows are designed to suit a wide range of OASE pond filters to return the filtered water back to the pond in gravity flow-through scenarios. These pipes and elbows are simple push-fit rather than requiring solvent welding, meaning the elbows can be twisted or pipework can be adapted after installation. Standard UK 68mm waste pipe will not fit OASE filters as European standards are 70mm. The 50mm diameter discharge pipes are designed for use on the OASE BioSmart 7000 Filter. The versatile 70mm pipes and elbows can be installed onto the BioSmart 18000, 36000, FiltoMatic and BioTec ScreenMatic 40000 and 60000 filter outlets. The larger 100mm pipes and elbows are suitable for connecting the clear water outlet on the BioTec ScreenMatic 90000 and 140000 models and will also connect to all OASE ProfiClear and BioTec Premium Drum filter outlets. 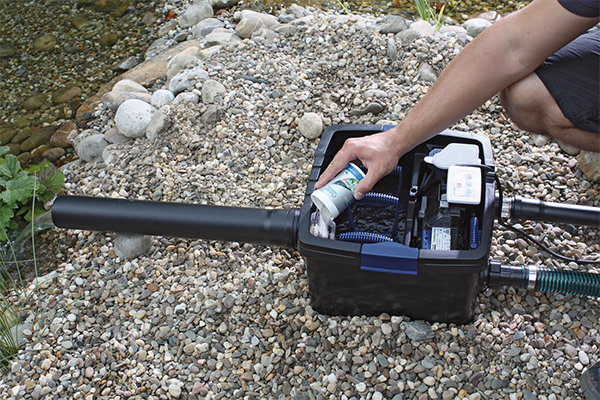 If you intend to mount your filter close to the pond edge, the BioTec discharge pipes and elbows can be used to control how the water enters back into the pond, simply by twisting the elbow on the filter outlet. For example, if you are planning for the water to cascade onto the surface to create water sound and oxygenation, the 90-degree elbow can be twisted on the filter outlet connection to accommodate the exact amount of water noise. If you plan to discharge the water silently underwater, the discharge pipe can be set vertically to discharge the filtered water under the surface.